When it comes to exploring the outdoor and preparing for the backpacking trip, choosing the right footwear is an essential decision that you have to make. In hiking, footwear is moving from heavy boots to light-weighted shoes. Unlike traditional hiking boots, lightweight hiking shoes are assembled to keep hikers relax and comfortable. That’s why we are going to review some of the best Lightweight Hiking Shoes of this modern time. Most of the casual hikers use lightweight shoe over heavy backpacking boot as they don’t need to hold it back. Traditional boots were made with stiff, heavy-duty leather to save them from broken rocks and sharp stone. On the other hand, lightweight shoes are made of breathable mesh which is specially designed for flexible hiking. Selection of hiking shoes differs from different weather and country. For example, in Ireland hills are so muddy that boots and gaiters are preferable there. But in the US hiking routes are dry, so it preferable to use lightweight shoes there. As the market is over flooded with a vast collection of shoes, you may find difficulties while choosing the best one. Here, I am presenting you the best selection of lightweight hiking shoes that are available in the market. Well, though you should spend some time analyzing the best lightweight hiking shoes among all. I am adding some research and findings here by considering customer review and most searched item. Before choosing perfect footwear, you need to keep some fact in mind for example; options, know thy feet, weight, terrain, sizing, and breaking-in. We always look for shoes that keep our feet comfortable, don’t give us a pimple, don’t strained muscle, have excellent traction, don’t scrunched toes and don’t exhaust out leg over a long day of hiking. To make it simpler for you, I am listing down 10 best lightweight hiking shoes that you should check before making any decision. Trust me you are going to get the best hiking shoes within your budget. 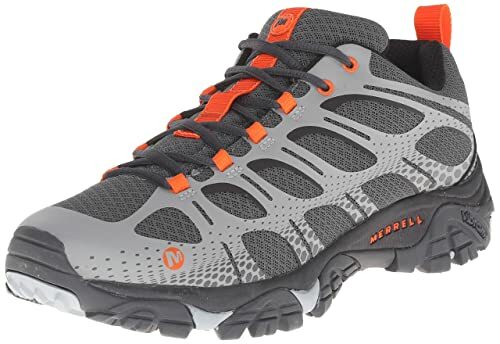 Merrell Moab shoes are breathable, lightweight and perfect for discovering the summer with hiking. 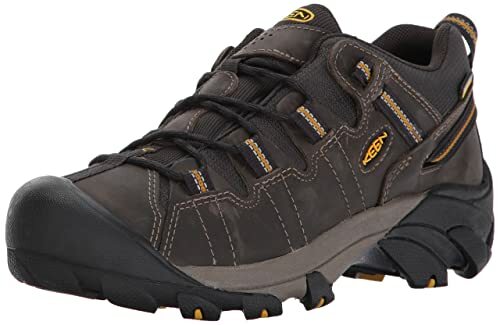 These men’s Moab ventilator shoes are multi-sporting athletic shoes which are made of 100% leather with water resistant upper mesh. A lattice-like coat of sturdy dura leather protects your feet during open window venting. The Proven Vibram multi-sport sole gives you ultimate protection at the toe and around the heel with the TC5+ rubber compound. The Vibram lug provides stability, grip, and durability. Besides, out-of-the-box and long-lasting coating ensure the proper relaxation after a long hiking day. Again, its compression-molded EVA foot frame and heel counter give a luxurious look. So, it’s a great deal for summer hunting at a reasonable price. Some people claim that holes started appearing around the heal after a few months. KEEN believes in a hybrid life; which means in spite of belonging from a great community with full of possibility, you should explore the world around you. From the beach to the mountain or a city street, they believe the outdoors is a place without a ceiling. 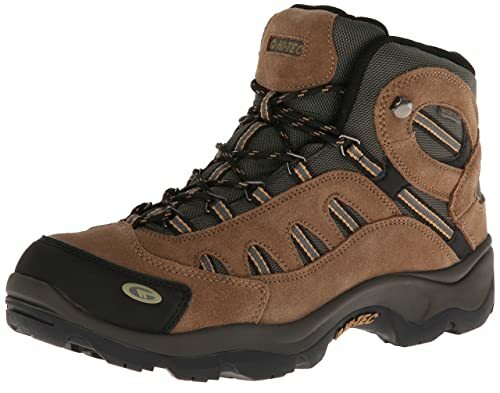 KEEN Men’s Targhee II hiking shoes offer a waterproof boot with four-wheel drive performance for your feet. This 100% leather shoe with the rubber sole approximately heels 2″. KEEN select the leather that is designed to last longer uses. It keeps your feet dry, let them breathe, and its aggressive outsole bites into terrain. Weighted 15.4 oz/ 436.6 g with a mid-cut height that adds bone support. It is the finest addition of KEEN for drifting along the river and ditching the raindrop. So you can use them for every season. In this shoe, you will get all these opportunities within a moderate price range. 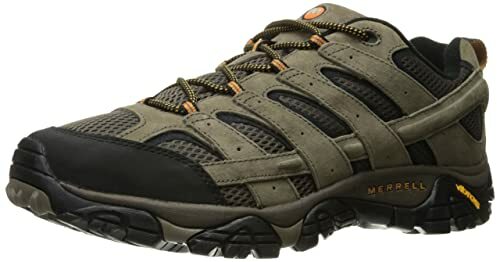 Merrell Men’s Moab 2 Vent Hiking Shoe is another elegant collection of Merrell. It is another out-of-box comfort experience with Merrell. They are proving performance suede leather with upper, breathable mesh lining. In this versatile package, you will get Vibram traction, a supportive, and durable leather. Rubber toe cap with closed-cell foam keeps moisture and removes debris out. It provides FIT.ECO+ blended EVA contoured footbed with zonal arch and heel support. EVA midsole is used for stability, and air cushion in the heel that absorbs shock and adds comfort. Also, they add Vibram TC5+ sole, 5 mm lug depth, molded nylon arch shank and many more. This 888g weighted shoe also used a synthetic sole to grip the ground. Its splendid outlook also attracts the customers to a great extent. Price is a bit high but worth it. Hi-Tec presents a gorgeous waterproof hiking boot which is designed to repulse water and keep your feet comfortably dry. Hi-Tec distributes over 70 countries and well-known for their design and authentic footwear. 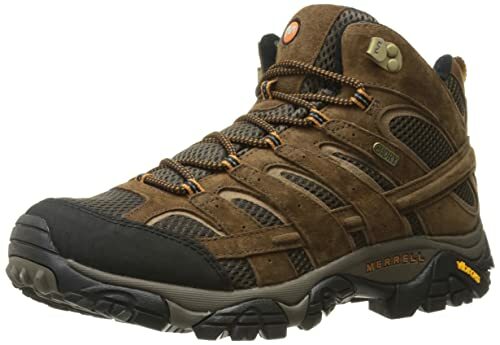 This Hi-Tec men’s Bandera mid waterproof hiking boots are made of leather/textile. It has a breathable waterproof membrane that keeps your feet dry with moisture. The rugged rubber sole provides traction in all condition. The steel shank keeps your feet stable while hiking in uneven terrain. Its rustproof lacing hardware ensures proper adjustment. These specific shoes are good enough for the beginner as well as to general snow use. Also, the price is very reasonable compared to other shoes available in the market. Perfect fitting, comfortable and extreme traction. Sometimes it’s failed to protect from water because of poor quality lace. KEEN hiking shoes is another addition to keep you cool even under pressure. This Voyageur collection replaces mash lining with a waterproof barrier for continuous airflow. Its rugged rubber sole ensures the grip on rough terrain with 4 mm multi-directional lugs. A 2″ heel contoured the heel lock and torsion stable ESS shank. The platform is additionally available with 0.75″ removable sole. They recommended using a leather conditioner and cleaner to maintain better quality. KEEN is brought to you this shoe pair in a very reasonable price so that they can match anyone budget. 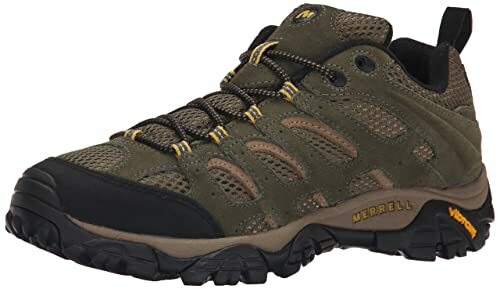 Merrell Men’s Moab 2 Mid Waterproof Hiking Boot is another waterproof hiking boot with exclusive design. 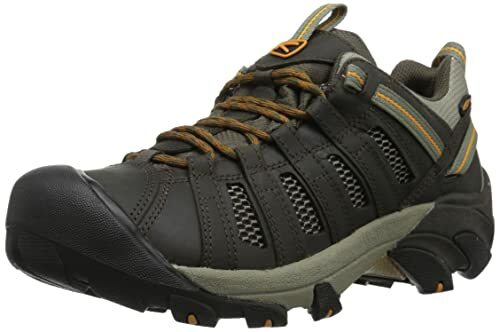 This men’s Moab 2 mid hiking boot aspects are similar to other collection but differ in design and added its ‘Moab 2 mid’ feature. It is made of suede leather with a synthetic sole. It has 5mm lug depth with Merrell air cushion in the heel that absorbs shock and vibration. Heels ensure stability and traction. Its breathable upper mesh lining assures comfort. The rubber toe cup gives you protection in the rugged hill. Merrell M select FIT.ECO+blended EVA footbed with added zonal arch and heel support. And so, Merrell is considered as the mother of all boots. 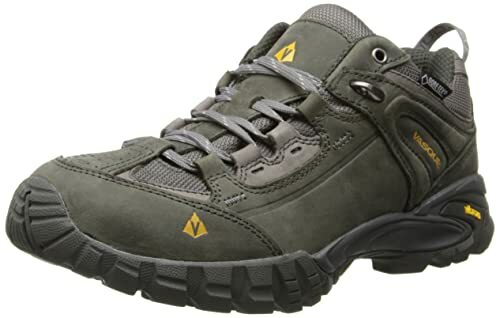 Vasque men’s mantra is being considered as fashionable hiking shoes by experts. As they are committed to making functional, innovative, and artistic footwear that performs to its highest standards. Vasque mantra 2.0 gives you stability by providing lightweight polyurethane midsole, quality nausiVibram outsoles with durable 1.8 mm nubuck and mesh upper. The mantra Perpetuum last creates a seizure for a constant and long distance run. This shoe with low volume heels is designed for people with flatted feet to keep their feet secure. Vasque works with nausiVibram to produce quality outsole that gives you the durability which is needed for long distance hiking. Above all, you are getting this astonishing pair of shoe at a meager price. Speed lacing system for a comfortable fit. 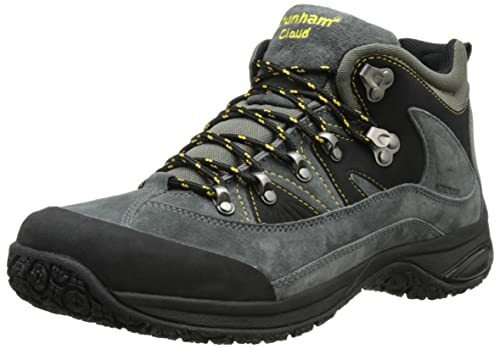 Dunham Men’s Cloud is a mid-cut waterproof boot for your perfect weekend adventure. Dunham promised to their customer in case of adding technology to their product. According to experts, they are unique from its speed lace to the rubber outsole. Rubber outsole with grip design provides maximum traction and surface contact. Its waterproof leather resists moisture keeps your feet dry and comfortable. The inside premium foam provides high density and the open cell foam diffuse the pressure from your feet. From its strong speed lace to slip resistant Tru-Trak outsole, strong joint to rubber-reinforced toe guard helps you to keep you grounded on tricky terrain. This is designed in a way that takes you anywhere you want to go. Customers highly recommend it for its better quality at a reasonable price. 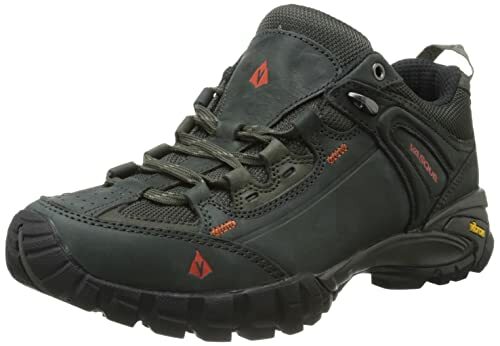 Vasque Men’s Mantra 2.0 Gore-tex hiking boot is an anotherVasque hiking shoe that features similar to the previous one with a Gore-Tex aspect. Its Gore-Tex liner consists of G-Tex breathable membrane, water replacement lace, seam sealing technology to keep moisture and water out while ensuring relax hiking. Mantra 2.0 Gore-Tex can be used in every weather. This low-cut hiking shoe with 1.75″ heels and rubber sole provides extreme stability and grip of backpacking boots. Its Vibramnausi outsole provides durability with comfort. Vasque always focuses on innovative design at a reasonable price which you can use for long running. Perpetuum last crate comfort fit for the long run. Merrell Moab is always active to bring variation for their customers. Their aim is to provide you ultimate comfort and encourage you to explore the world. They are best for the perfect fit along with breathable, energetic mesh upper. They have a high arch, a narrow heel with a lug pattern that provides stability at any condition. Due to that your feet feels naturally relax. Vibram TC5+ outsole ensures traction on both dry and wet surface in even the most extreme temperature. Its long lasting M select prevent sweat and moisture. The antimicrobial agents pass and break the reproduction of odor causing microbes. Price range is a little bit high compared to others. We hope this guide will help you to decide what footwear will work best for you. Though hiking shoes like all footwear, are a personal choice so we cannot force you to choose any specific one. Only we can suggest you which we did here. All the listed shoes differ from one another. They all offer a quality item in a different price range. Our motive was to make you stress-free by reviewing the best lightweight hiking shoes available in the market. Now it’s your call to pick a perfect shoe that fits your need. Of course, you must have to keep in mind that your choice matches your budget. So take another look over them then find one and start exploring the world. If you have any inquiry and suggestion, then please let me know in the comment box. Or if you find it helpful then, please share this in social media. Related topics are COMING SOON and stay with us!